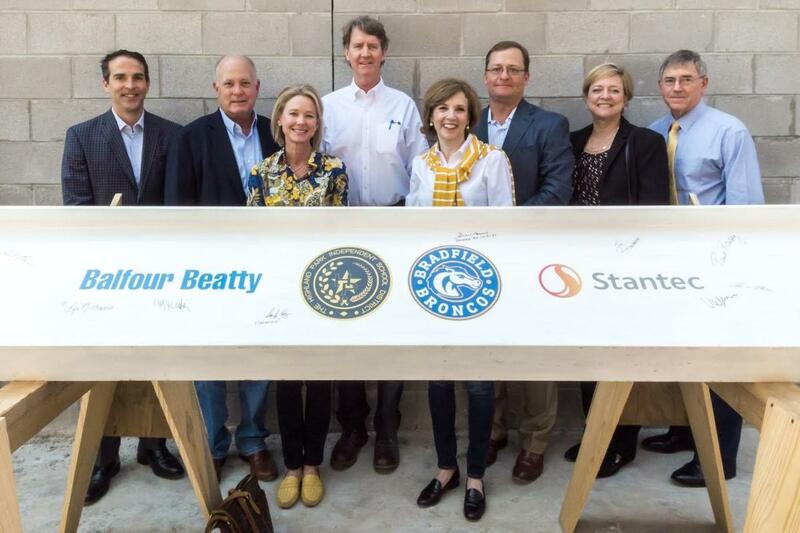 HPISD administration, trustees and members of the community gathered at the new Bradfield Elementary construction site April 9 to sign the construction beam that will be placed at the highest part of the school. The topping out celebration featured a special barbecue lunch with Balfour Beatty construction crews followed by a tour of the new building. Check out the video below for an inside look of the new Bradfield!